Mel Gibson is an actor, a director, and one could now call him a rapper based on his disgusting racial slurs, verbal abuse and threats towards his ex-girlfriend giving us a look at how divorce (in any sense of the word) brings people to the breaking point, bringing out the worst in them. This also takes us back to a recent blog about alcoholism, and how it brings out the anger and frustration found especially in men, that sits buried beneath the surface, now emerging like a giant volcano, erupting in a violent and uncontrolled way. This is further accompanied by rage and underlying hatred of self, others, and unresolved issues from one's past. After the outburst, the alcoholic often does not remember what occurred, moving to a state of denial. During a divorce, a casual drinker can become an alcoholic, not realizing he has reached that point, until he crashes and ends up in rehab. Get professional help if this is you. Get away from an alcoholic abuser if this is your life. 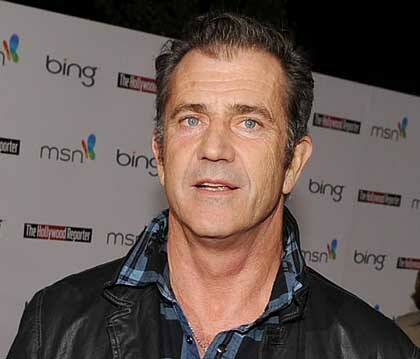 Mel Gibson, in case you didn't know, was born not far from here in Peekskill, New York, moving to Sydney when he was 12. I've always been a fan of his films, but not his personal life. I've seen him as another Hollywood actor, drinker, and womanizer, and wondered why his wife had 7 children and stayed with him, but then again the strange behavior of humans is often puzzling to me. It's all in their genes. As to Mel's ex-girlfriend, Oksana Grigorieva - I don't like her energies at all. She smiles like the innocent victim, who may see herself that way, but I see deep emotional problems, her relationship with Mel about fame and money. If you like her ... so be it, but I see a user and opportunist. So here we have two dysfunctional souls, who shared part of a journey, Mel perhaps lost in the romanticism of it all - working with someone and falling for her - a common theme in metaphysics - then discovering it was all just in the moment. Were Mel and Oksana in love - whatever that means? Yes, because the frequencies for love and finding a soulmate are very inspirational and powerful in the grid as we evolve - wanting to find the person who will be our catalyst to that end. It inspires greatness in us and opens the heart. Alas, it is all projected illusion in the film strips of time so do be careful if you fall in love during a metaphysical moment. It's all about - "feeling" a soul connection, past life discussions, healing and awareness. Enjoy the Passion (of the Christ consciousness) but remain independent. No rationalizing or sulking when it ends. Mel has the fading good looks and now career. Whether or not the audio conversations have been altered, remains to be seen, but they are his voice and a lead so very serious implications for him Some in Hollywood, and around the world, will support him and his projects, while others will not. Once again in 2010, famous couples in all walks of life - from performers to athletes to politicians - will look at their relationships and wonder ... Who is next? It's so ease to get caught in lies, deceptions, and dysfunctional behavior in the age of technology.